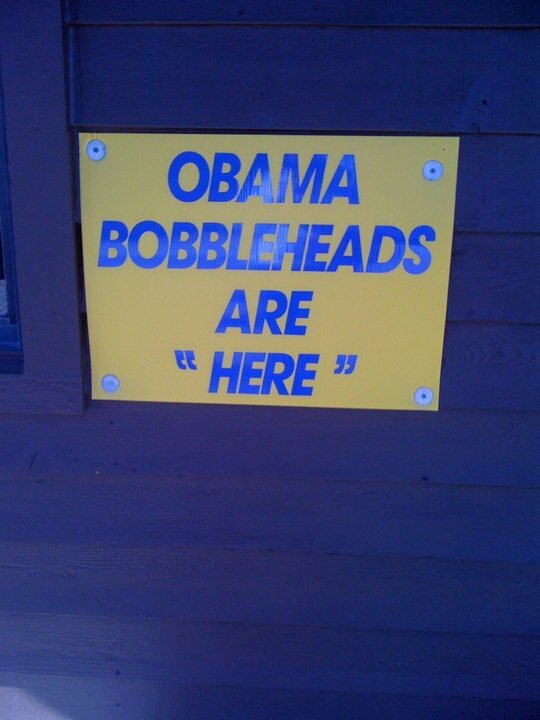 Sounds like the bobbleheads are actually nearby. Thanks, Julie. Okay, I'll be honest. I usually just read these on the blogroll since they are so short. This one, however, made me laugh so hard that I had to come by and tell you so. secret compartment behind the sign? I think they're actually on MSNBC.